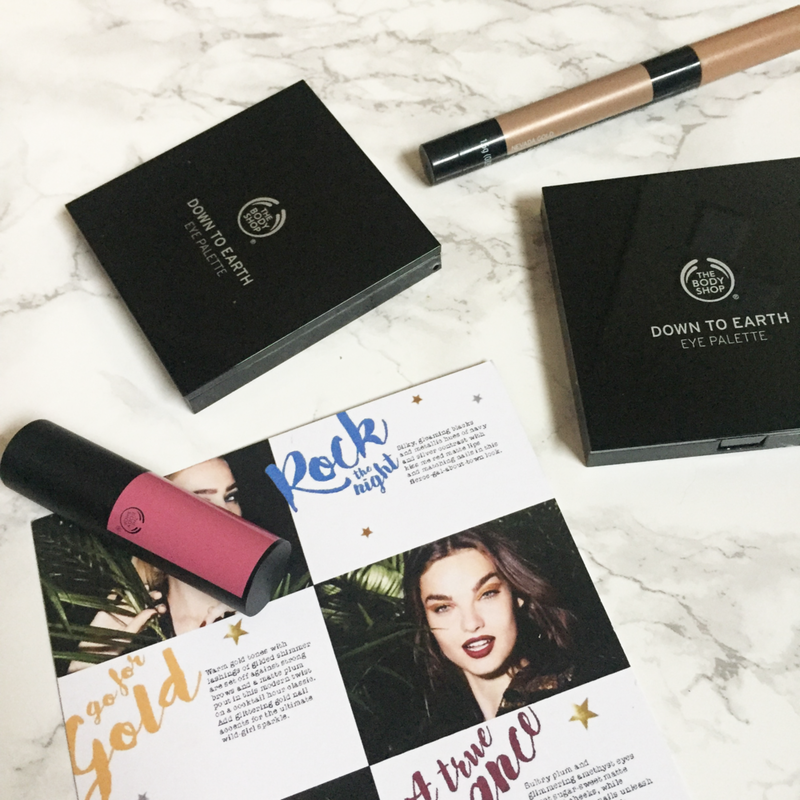 While I've long been a fan of their legendary body butters (bye bye, dry winter skin), The Body Shop has now stepped up to the makeup plate to delight those of us seeking toxin-free, cruelty-free options. Their collection of color products for eyes and lips just arrived and I had to give it a try. I must to admit... the quality impressed me. Ladies, you know packaging matters. It's often where well-meaning brands fail. These eye shadow quads (I tried two) are housed in glossy black clam shell cases with interior mirrors. Sleek closures. Nice weight and scale to them. The shadow pans are very generous. The twist-up eye color stick tips are rounded like Laura Mercier's caviar sticks and the packaging is somewhat similar. The matte lip color is in a more modest black matte tube with silver interior sleeve. The packaging isn't going to be an Instagram star a la YSL or Dior's gilded lippies, but the ultra-smooth twist-up mechanism and elegantly shaped product tip definitely impress. SURE, BUT WHAT ABOUT THE PRODUCT? So let's talk about the color products themselves. The day my products arrived it was dreary and blah, so naturally I i was attracted to the the hot pink lip color. Hello, mood boost in a tube! As soon as I began to swipe it on I realized I hadn't exfoliated my lips. Much to my surprise it didn't matter. Even with the matte finish, the product is infused with Brazil nut oil and beeswax for a supple, full-lip finish. Very pretty and already tossed in my on-the-go makeup bag. Next, the shadows. 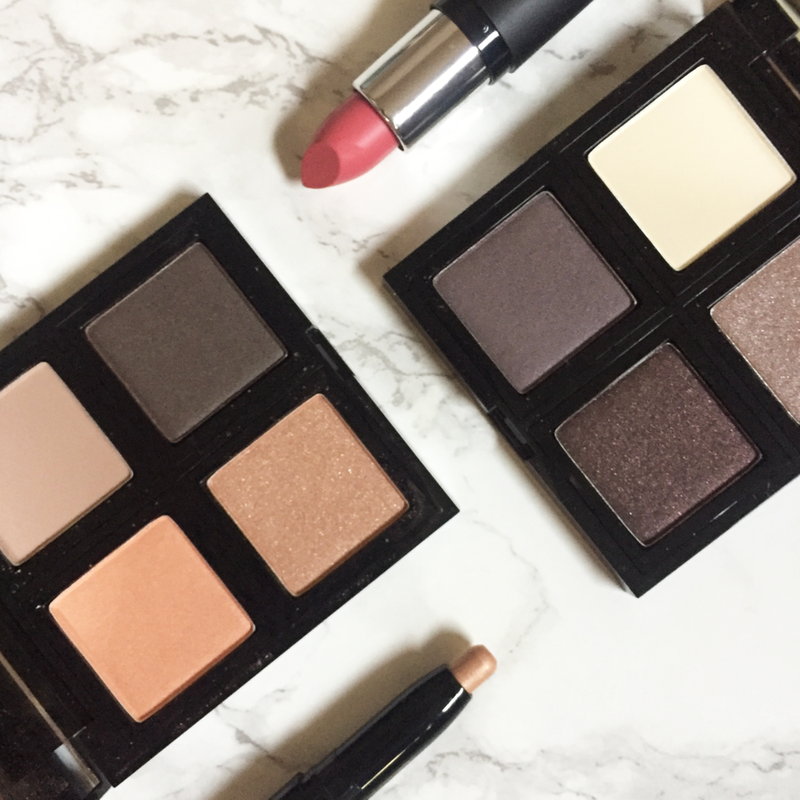 The plum palette is truly spectacular and was really drawn to those shades with my current winter skin tone. It is very difficult to find a matte ivory shadow (a makeup drawer basic, in my opinion) and this palette has a superb version. The three additional shadows are an array of shimmering plums that veer towards super-neutrals. Super sultry shades. The shadows were shimmery without being glittery and the texture was velvety smooth. Pigmentation was exactly as I hoped and I loved that texture was smooth during application. Did I mention the pans are very generously sized? I think these quads will last me quite a while and are easily used day to night. Will be dabbling in the brown quad (which houses warmer clay tones) next. Going in with no expectations, I was impressed by both the texture and feel of the makeup and the packaging. Compared to my normal color lines (Chanel, YSL, Tom Ford) these still read as elegant options. Sophisticated colors. Luxurious packaging (not quite as opulent as my normal quads and lip color packaging, but definitely in luxe territory). Vegetarian ingredients. If you're looking for a cruelty-free option for your makeup arsenal, this well-priced collection should absolutely be high on your list. See the full holiday collection.